Ever since we’ve came across Professor Steven Reiss’ ground-breaking research on human motivation, we’ve come to this conclusion: everyone is motivated. According to his research, there are 16 universal goals that motivate every human. Each person is uniquely motivated, depending on how much we value each of these goals. The challenge is to discover what motivates this child/student, what energises him and what he will put effort in. Successful parents and impactful teachers are more often than not, simply the ones who have discovered the right motivators. For example, some children are deeply motivated by the need for ACCEPTANCE. This child will thrive on consistent encouragement and praise. However, this child may be more prone to wilt under criticism or when his results are compared to those who are faring better. In contrast, a child who is deeply motivated by the need for COMPETITION is energised to strive by comparing himself with those who are faring better. 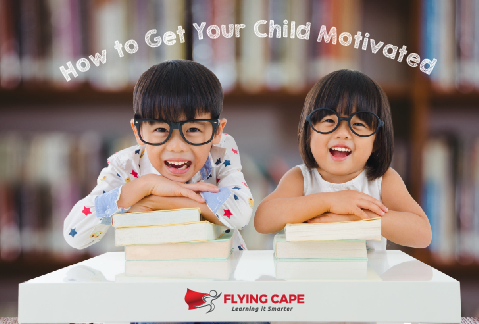 Your child who is constantly glued to the computer screen or that student who is spending much time in his CCA is not unmotivated. You just need to discover what motivates them.